Finding Playful Solutions – Hello, I am Shelton. 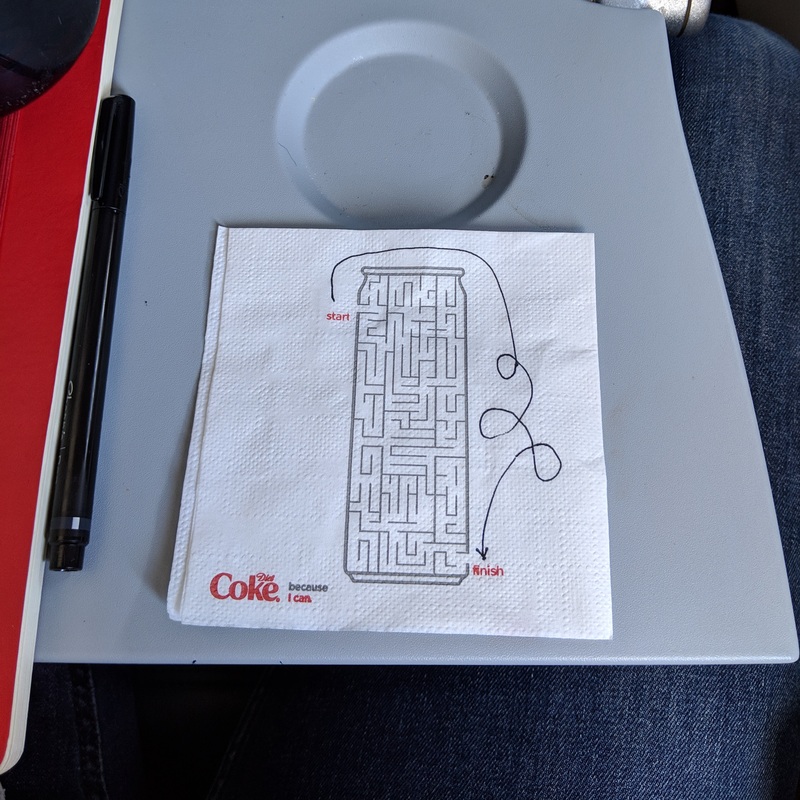 Delta flight napkin + my attempt at solving the Coca Cola maze. There are many solutions to the problems in front of you. Our ability to see all of these amazing possibilities is constrained by our lack of imagination, curiosity to just try, patience, and willingness to shut up and listen. What if the best solution for the problem at hand is outside of the norm and you are unwilling to venture outside of your bubble? Learn from those that are different from you. Be playful and stop taking yourself so seriously (I say this to myself DAILY).